Intelligence sources in the Middle East claim the recent attack on an arms depot in the Syrian port city of Latakia, which was attributed to the Israeli Air Force, was actually carried out by an Israeli Dolphin class submarine which fired a cruise missile from the sea, the Sunday Times reported. If the report is correct, the attack marked Israel's first naval intervention in Syria since the civil war in the Arab country erupted in March 2011. 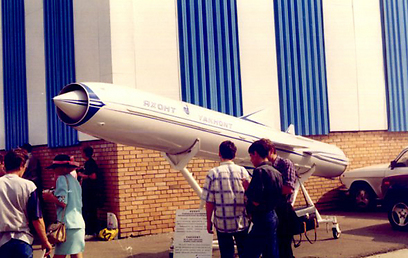 According to the British newspaper, the target was a consignment of 50 Russian-made Yakhont P-800 anti-ship missiles delivered to President Bashar Assad's armed forces this year. The Times reported that the attack is understood to have been closely coordinated with Washington, which had earlier signaled to Moscow its frustration at the missiles shipment. General Martin Dempsey, the chairman of the US joint chiefs of staff, warned in May that delivery of the missiles was "an unfortunate decision that will embolden the regime and prolong the suffering" in Syria. US sources informed CNN on Saturday that Israel was behind the strike in Latakia last week. According to the sources, the attack was carried out by Israeli fighter jets, targeting Yakhont missiles. The sources added that Israel launched the July 5 strike in order to hit the Russian-made missiles, which Israel believed pose a threat to its forces. Qassem Saadeddine, spokesman for the Free Syrian Army's Supreme Military Council, told Reuters last week, "it was not the FSA that targeted this; It is not an attack that was carried out by rebels. "This attack was either by air raid or long-range missiles fired from boats in the Mediterranean," he said. Rebels described huge blasts – the ferocity of which, they said, was beyond the firepower available to them but consistent with that of a modern military like Israel's. The British-based Syrian Observatory for Human Rights said the explosions hit the village of Al-Samiyah in eastern Latakia. Israeli officials have made clear that if advanced weaponry is transferred from President Assad's army to Iranian-backed Hezbollah fighters in Lebanon, it would include the long-range Yakhonts, which could help Hezbollah repel Israel's navy and endanger its offshore gas rigs. See all talkbacks "Report: Attack in Syria conducted by Israeli submarine "